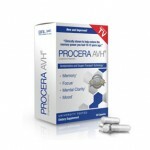 Cebria, developed by Ever-Neuro Pharma, is a nootropic supplement designed to combat age-related short-term memory loss. 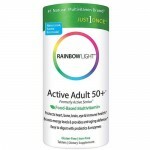 For this reason, the product is mostly targeted at seniors and those above the age of 60, although the manufacturers state that the formula is suitable for all ages. If the product seems familiar to you, that may be because you’ve seen it at TV infomercials before. Cebria does a very good job advertising their brand to the public and reaching out to those who may be interested in improving memory capacity. 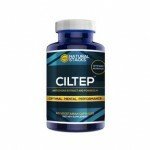 One thing we know for sure about Cebria is that it has been manufactured by one of the best and well established supplement company / research group in the world. Ever-Neuro Pharma is a European pharmaceutical company that works with expert scientific researchers and neurologists in the business. Since the company was found back in 1934 in Vienna, their aim has been to create high-quality products that can improve the well-being and living quality of people. The neurologists involved in the production of Cebria have been researching about age-related memory loss and diseases such as Alzheimer’s for decades, making them the well-educated and respectable scientists that they are. 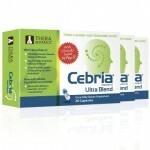 Is Cebria the miracle memory-boosting product that we’ve all been waiting to find? 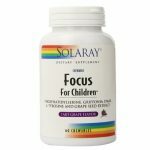 Or is it just another scam supplement that robs you blind? In order to justify, we must look through the ingredients extensively. Proprietary blend 282.8 mg including Lactose, Glutamic acid, Lysine, Leucine, Arginine, Aspartic acid, Serine, Phenylalanine, Valine, Threonine, Tyrosine, Isoleucine, Histidine, Methionine, Tryptophan. Before we get into what these ingredients really are and what they can do, it’s important to understand Cebria’s mechanism of action. 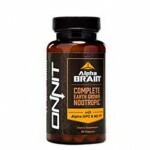 The product’s developers are focused on our brain’s neuropeptide production. Here’s the main gist of it everyday, short webs known as neuropeptides are created in the brain that connect neurons together. Without these connections, our neurons would have a difficult time communicating with each other, meaning we would be incapable of forming new memories. When we get older, the production of these neuropeptides naturally decrease, leading to deteriorating memory recall and decreasing memory capacity. Cebria is meant to fix this problem by supporting and increasing the production of neuropeptides in the brain, which would essentially turn back the hand of the clock by a few years. Sounds too good to be true, doesn’t it? Well, whether or not Cebria’s formula works is arguable, but we do know what each of the ingredients in the product can do. Most of these ingredients are amino acids, which are in charge of protein synthesis. All of these amino acids, although similar in physical structure, can lead to different chemical reactions and thus different benefits. 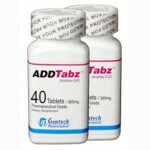 For instance, Arginine has been shown to help with learning abilities and the formation of memory. 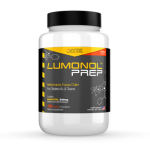 Meanwhile, Lysine is another essential amino acid that can be used to decrease anxiety and brain fog. The best thing about these ingredients is that they’ve all undergone an immense amount of clinical research. But has Cebria’s formula as a whole been tested? Well, this part gets a bit tricky. 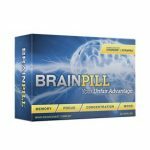 The manufacturers of Cebria cleverly mentioned in their ads that their formula has been tested in a study where users were able to improve their memory significantly within 30 days. They say that this study was published in the International Clinical Psychopharmacology journal, but we had a hard time finding a copy of this particular research…perhaps you will have better luck finding it? 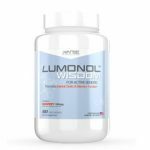 At first, we assumed that it would be completely pointless to test out the product for ourselves since the formula is intended mostly for seniors. 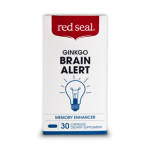 But the manufacturers did say that Cebria can work on everyone, so we decided to check out whether we could get the same results as the participants in the supposedly conducted Cebria study – who claimed to have improved their memory decay by 10-15 years. What do you guys think happened? That’s right, even after two weeks of giving Cebria a try, we definitely did not feel a life-changing improvement in memory recall. Then again, considering the fact that most of us are 30 year-olds, shouldn’t we have gained the memory capacity that we had when we were 15 year-old high-schoolers? 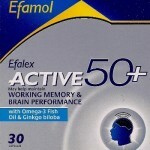 On the flip side, we must say that we did see some type of memory enhancement. One tester, for instance, was more capable of remembering their day-to-day schedule without missing out on or being late to important meetings. Another tester stopped struggling so much to find his car in the parking lot after work hours. But again, these results weren’t notable enough to boast about. Particularly if you are currently using any other medications, we would highly recommend you to consult with your physician before getting yourself the product. This part we’re not too happy about. First of all, when you get on Cebria’s official website, you will literally get smothered with signs convincing you to get their “risk-free 30-day trial.” Let us tell you something about these free trials – 1. They’re not actually free because you still have to pay for shipping and 2. It’s set up this way because you have to plug in your credit card information and agree to be charged every month to receive the product. And cancelling your subscription takes a lot of time and a lot of effort because there’s definitely a chance that the customer service folks won’t cooperate. But if you happen to be interested in getting Cebria, then here’s how it works. You get on their website and sign up for the free trial. You type in your personal information and credit card details, then you will be charged $9.95 for shipping. You will receive a pack of Cebria, which will last you a month. At the end of the month, you will automatically be charged $89.95 for 2 bottles or two months worth of supply ($39.95 per bottle + $9.95 shipping). If you just look at the price of each pack ($39.95), it’s actually quite affordable. But the fact that you have to pay 2 months in advance and be subscribed to a company that you may not necessarily stay a fan of, is a bit inconvenient. 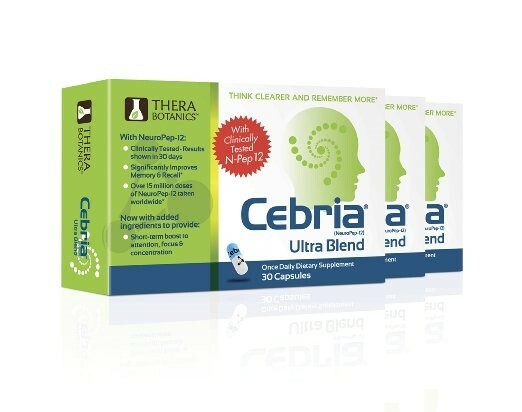 Cebria is a memory-enhancing product designed for seniors who either want to boost their current short-term memory or protect against age-related memory decay. The way memory is formed and stored in the brain is quite complicated and involves a lot of different factors. For this reason, we don’t think that taking 12 different amino acids each day can fix the problem. Then again, a few Cebria customers have found luck with the product. If you wish to try out Cebria, be aware of the purchasing system and how it requires you to subscribe to their company (meaning you get automatically charged per month). We suggest giving the 30-day trial a try and then cancelling your subscription if you’re not a fan of the product. Just remember to be patient while trying to do so because it may not be as simple as it sounds. 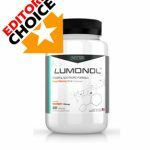 Thus far, we’re still loving our Editors’ Top Choice for seniors, Lumonol Wisdom.